NorCal Air Gun Club is proud to announce we have twenty shooters signed up so far for the year long event ending on December 1st, 2016. every shooter gets to add a friend to the Grand Prix so the number of registered participants could be much higher. based on that, the projected amount of shooters should be 30 or more if everyone gets a friend to join the event. so everyone please get a friend to join in on the fun.the idea is that each of the four venues will have a larger number of participants at each club. so far it seems to working. 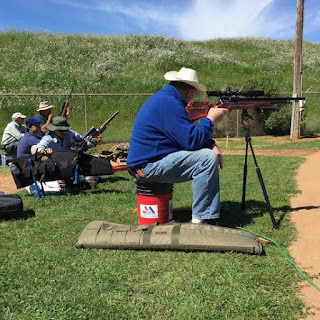 at the Ione match Sunday, NorCal showed up with four shooters to support the event, which probably would not have happen otherwise, and the same happen at NorCal at the previous match. there will be a grace period for those that attended for their scores to be counted in the Grand Prix. so please contact Ronnie, and he will add the shooter to the roster. thank you everyone for participating in the NorCal Regional Grand Prix. 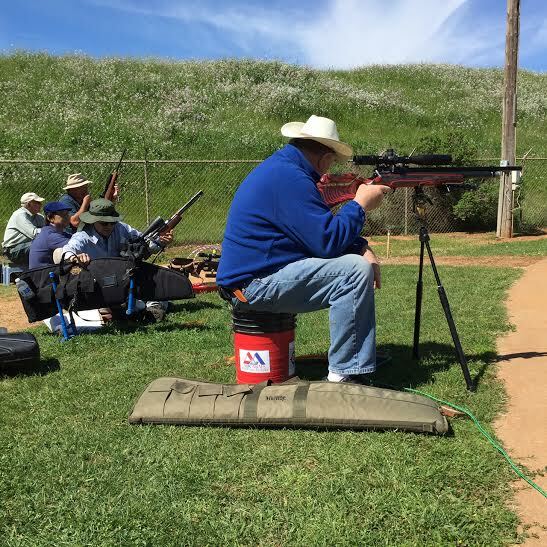 it's fun and exciting to see the Area grow and expand the number of Field Target shooters. the shooters highest match score from each of the four venues will count for the Grand Prix: NorCal, Ione, Diablo, and Yolo. please call or email for any questions one might have. Ione had its first Match Sunday. the weather was cold, rainy and windy but turned out to be a great day as the temperature warmed up by late morning. Ronnie has posted the results to those in the Grand Prix. just click the link bellow. The weather was brisk in the morning with winds up to 12 MPH. by the time the course was set, Ronnie looked up and there where 15 shooters talking air guns and the like. 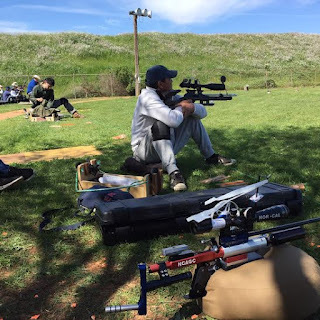 it sure where nice to see all the happy faces and nearly all the shooters entered into the NorCal Regional Grand Prix. WOW!!! 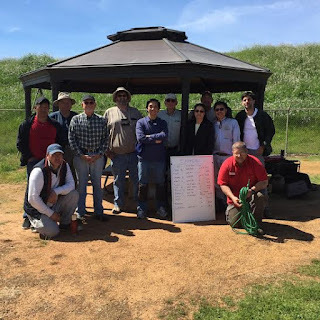 what a nice surprise and thank you all for that on behalf of NorCal Air Gun Club. the event runs until December 1st. it where apparent that a great many shooters where getting ready for the Moro Bay Spring Gun Match April 16th and 17th. it looks like these guys are ready! The wind calmed down to a steady 6-7 MPH and gust to 10 plus with periods of light wind in between. a very challenging day but Jim c and Fred B didn't waiver with their spring guns ending with a pretty high score. they got teamed up and from start to finish it was neck and neck till the last lane when Jim C gave up an easier point on a crow target. thinking he had his chance at Fred, Fred takes his turn at the lane and does the same. tied again. Gabriel brought two new shooters into the sport shooting WFTF, and has done a super fine job at getting them ready for competition. he has worked with Max and Badam quite a bit as everyone could tell. Poor old Scott had only scored 2 points after the first 3 lanes. hats off to him for shrugging it off and coming on strong in the end. the Crosman Challenge is going on as well. 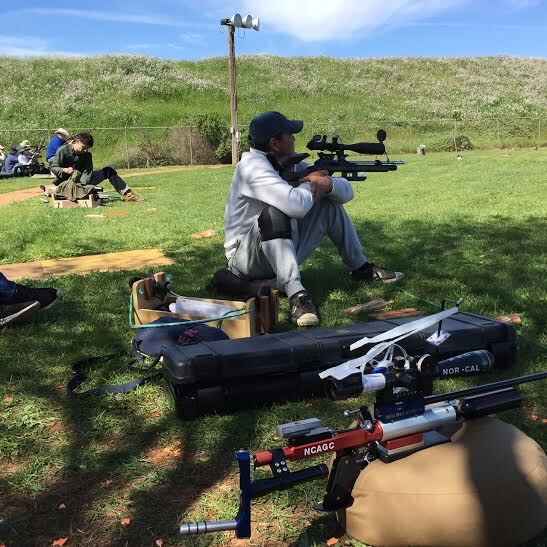 shooters get an additional 100 points if shooting in a Grand Prix according to Chip at Crosman, and all the scores if shooting a Crosman/Benjamin rifle will count for the Challenge as well. Thank you everyone for attending and making the match a very special one. we are planning a BBQ at the next match. Ronnie is currently working on a calendar for The NorCal Regional Grand Prix to include all the dates and venues on one schedule. the plan is to post it in the next day or two. down load the registration form here and turn in to your Match Director at your next shoot, or preferably send it in to Ronnie Easton. wheelscroller@gmail.com Ronnie got the Grand Prix fee down to 20 dollars, and one can add a shooter (friend) for FREE to the Grand Prix. whats also new and exciting is a shooter can add another class now with no additional fee. its all included in the entry fee of 20 dollars. it will be real fun and hope others join in. 100 % of the proceeds go to the shooters in the way of awards and or prizes. NorCal is proud to announce it is hosting the area's first Grand Prix. there are four venues with in a 100 mile radius. NorCal wants more shooters participating in more venues and the best way for that to happen is to have a Regional Grand Prix. compete in at least one match in each of the four venues. now till December 1st.